AFTER losing her brother in 2016 to gun violence at their El Dorado Road, Tunapuna home, 32-year-old Chrisse Bramble was also killed by unknown men who stormed her home on Tuesday night and shot her in the stomach and left shoulder. One man, Kent Davis, was also wounded. Sources told Newsday he was shot in the face and about his body, and is at hospital in critical condition. At Bramble’s home yesterday, relatives told Newsday she challenged the gunmen who burst into the house searching for other relatives whom they wanted dead. They said hers is one of the many lives lost in “the ghetto” because of an endless cycle of violence, fuelled by a philosophy of taking an “eye for an eye” and a “life for a life”. Her mother, who declined comment when approached earlier at the Forensic Science Centre, maintained her silence at the home as she was too emotional to speak. All she did was hold on to other relatives and cry. 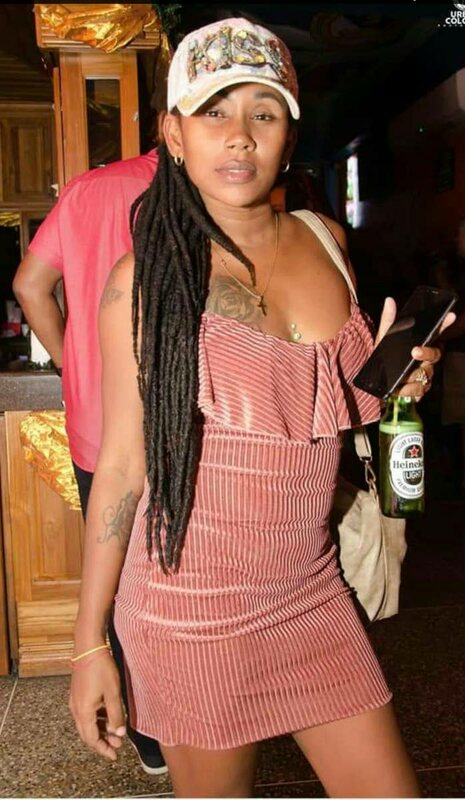 Relatives told Newsday, Bramble was sitting in the living room when, at about 10.20 pm, two men with guns approached a group of men liming in the yard and began firing shots. The limers scampered for safety, with some of them, including Davis, running into the house. They were followed by one of the gunmen who came face to face with Bramble who stood up to him. “She jumped up off the couch and said ‘Not my family!’ after which the gunman shot her,” one relative said. Bramble and Davis were taken to the Eric Williams Medical Sciences Complex, but she was declared dead at the hospital at about 10.30 pm. She was described as a “sweetbread” in the family. Relatives said she was always considered the life of the party, and was very much loved by members of the community. Newsday was told she was a netball player who took part in several community events. “Chrisse was always a caring, and protective person,” a relative said. “She was outgoing and she wasn’t the kind of person to take stupidness. She didn’t really business if you had a gun or not, she would protect her family and care for them to her last breath.” Her brother, Chevaughn, was shot dead while standing outside their gate in August, 2016. The siblings’ lives were not the only ones taken on that street within recent years. In November, 2017, Aikido Irvin, 19, was shot dead mere metres away from where Bramble’s brother was killed. Asked about the other shootings, relatives said an ongoing and endless cycle of violence is continuing in the area, and police aren’t doing anything about it. He said, in many cases some people resort to taking matters into their own hands, just so they can have some kind of justice. The murder toll for the year now stands at 14. Reply to "Chrisse’s last words: ‘Not my family’"